Tub Sets that are superbly built and look fabulous. Purchase your Tub Sets here today. 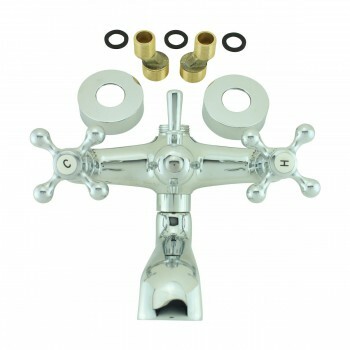 Chrome Plated Cross Handle tub Faucet assembly has attachment for shower assembly. Not adjustable without couplers. Measures 6 inch on center. Tub wall mount only.